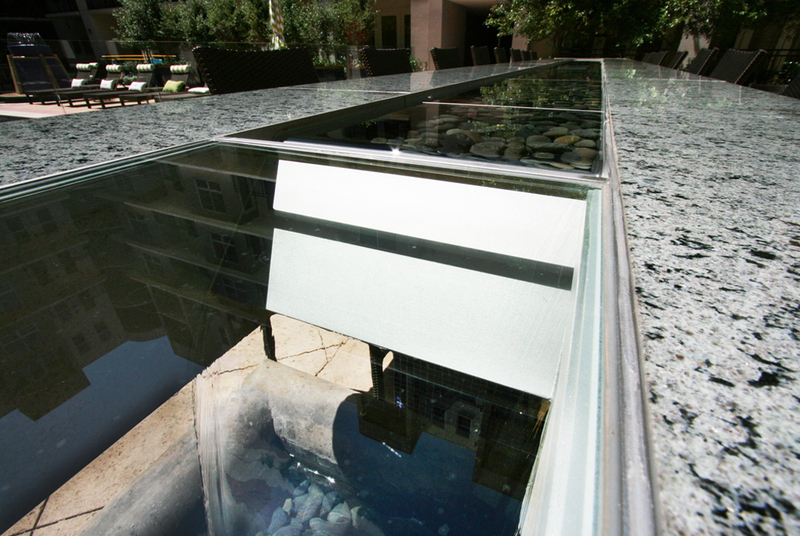 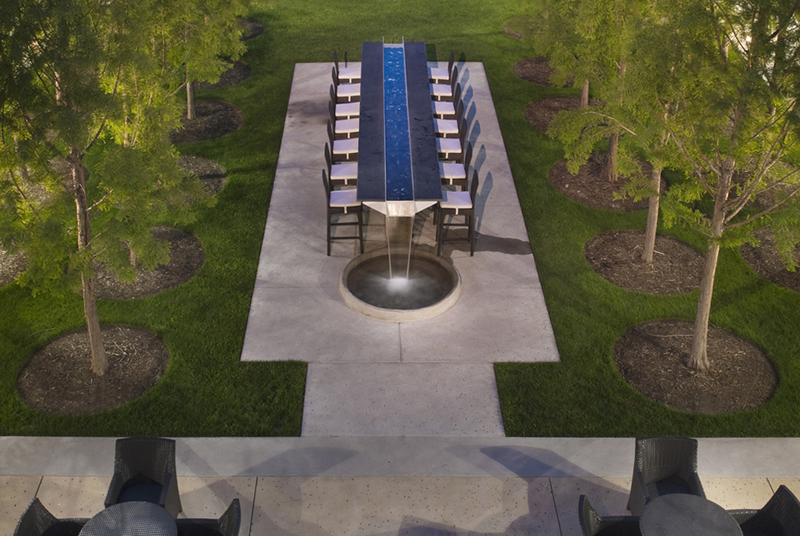 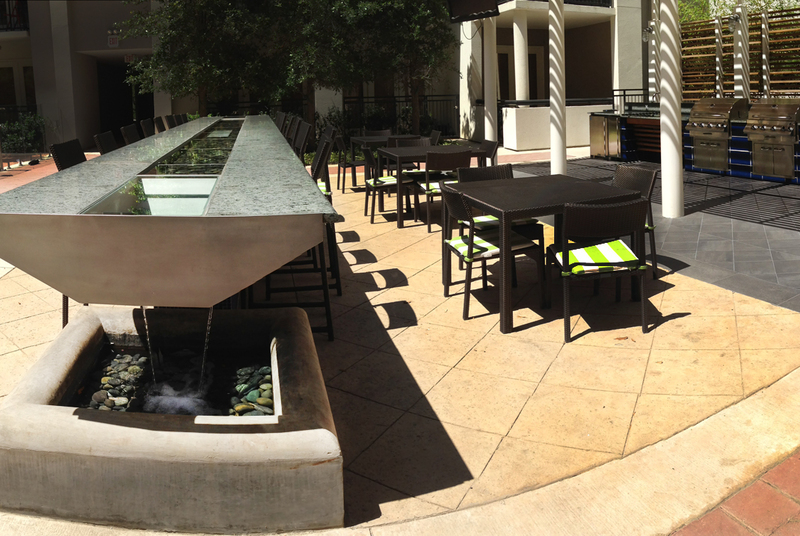 The water table is a fountain designed at the scale of a conversation. 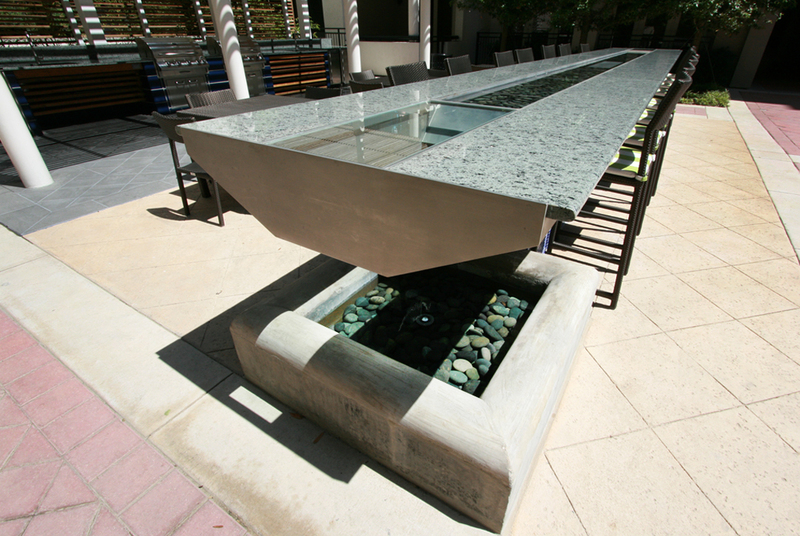 As a table the prototype offers use and familiarity. 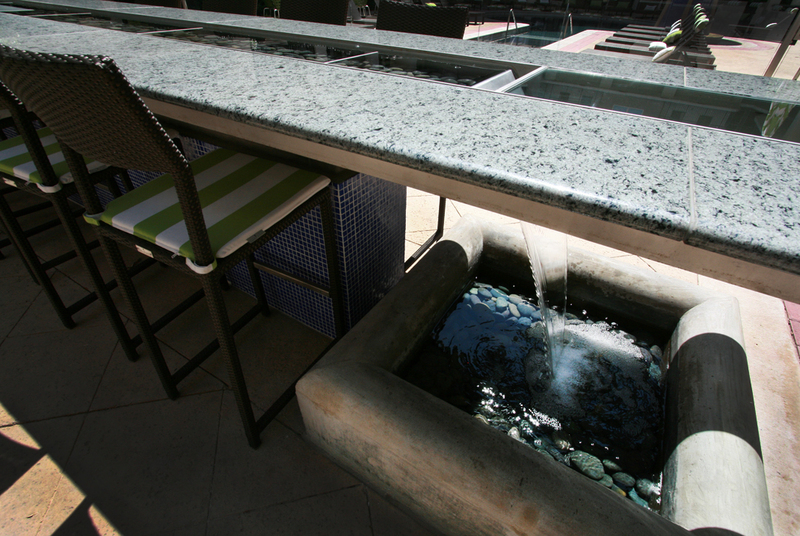 Water is the added attraction providing motion, sound and a resource for ice and beverages. 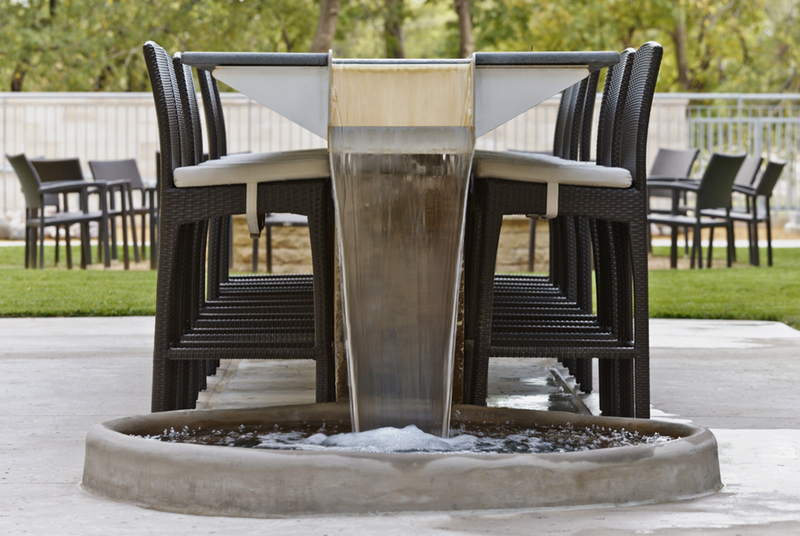 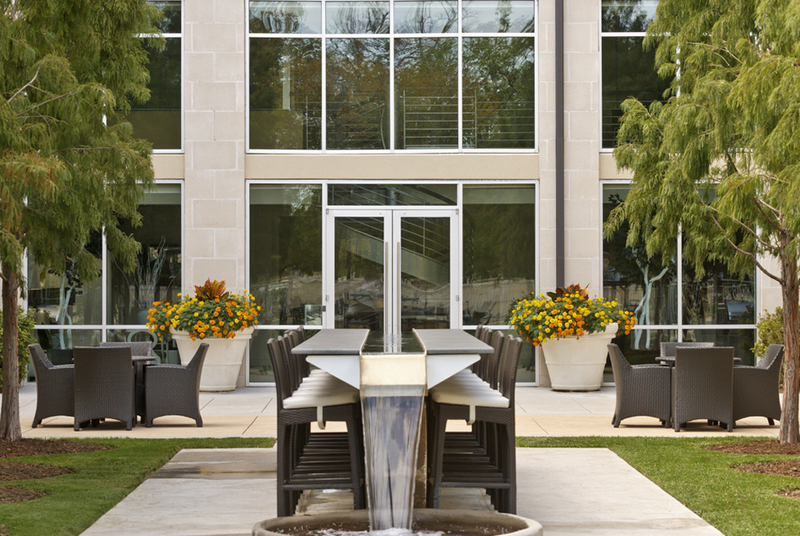 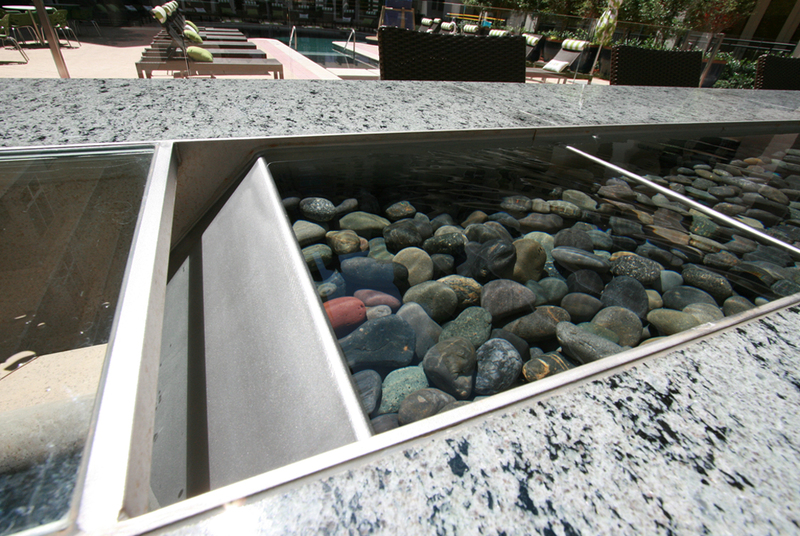 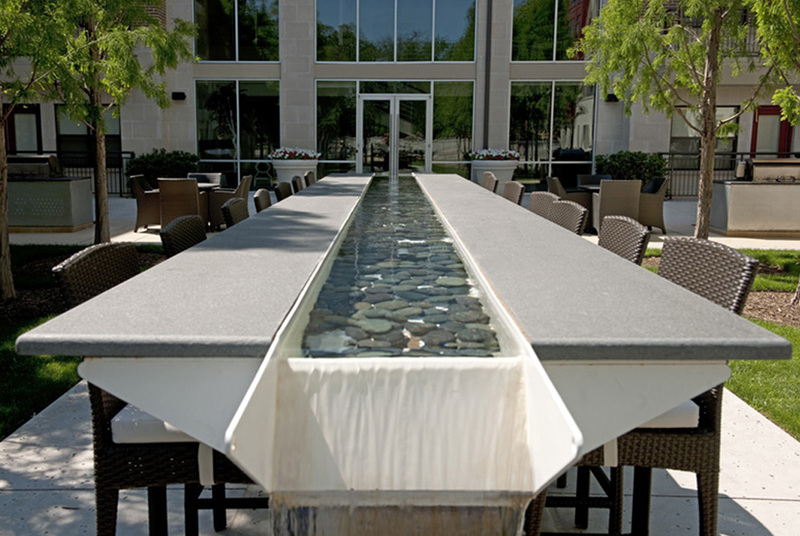 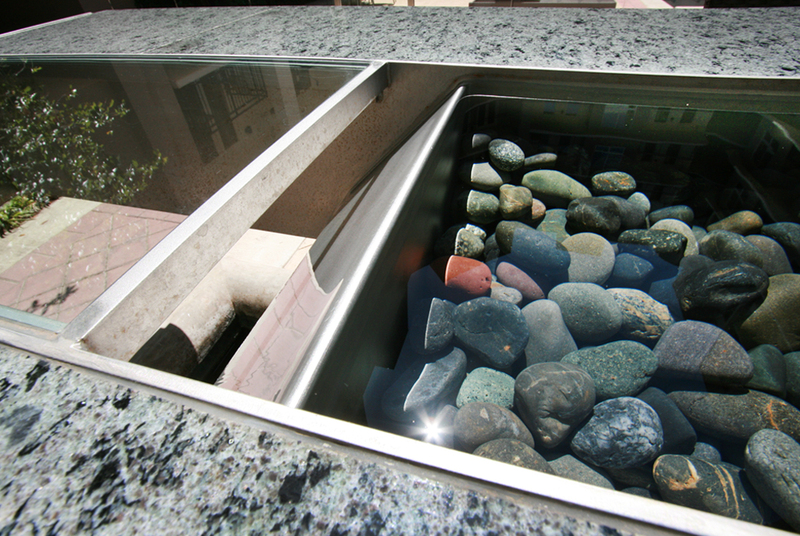 Economical to accomplish, each water table adds a sculptural interest to any space and the ability to be a social condenser to citizens and tenants.